Wanting to loose a few pounds? My husband is on the home stretch of a weight loss challenge happening at his place of employment. He requested lots of salads this week and I want to make them really satisfying for him. 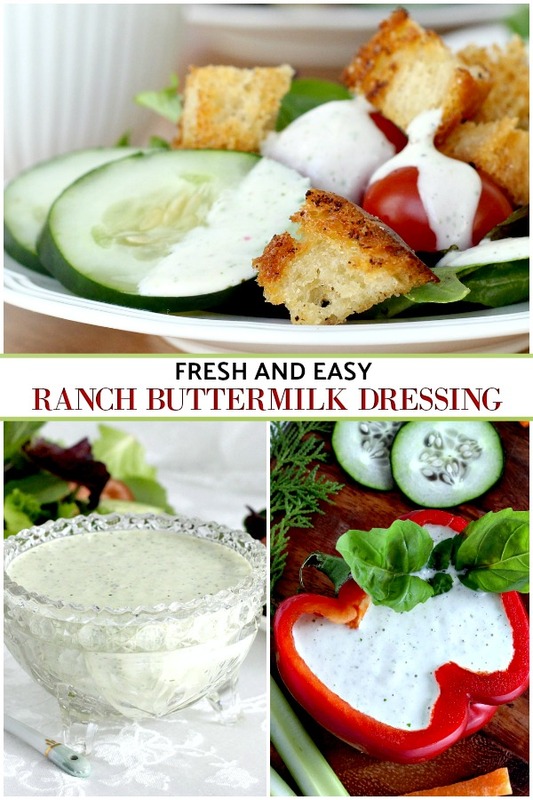 Buttermilk ranch dressing is a great way to make otherwise boring salads taste great. The challenge is to loose 7% of your body weight by March 31st. It began January 1st, so it is a healthy and doable goal. The challenge isn’t sponsored by the company but just for whomever wants to participate. There is an incentive though, a reward for all that meet their goal. There was a $50 entry fee. Winners will divide the pot so everyone that succeeds will at least get their entry fee back. Friday morning John was just 1 pound short of his goal. An easy win. But then Sunday morning consequences hit. After a fabulous restaurant dinner and a bit of a splurge this past weekend, he was most angry and annoyed with himself that he now has 4 pounds to loose to meet his goal. Thus the requests for salads. 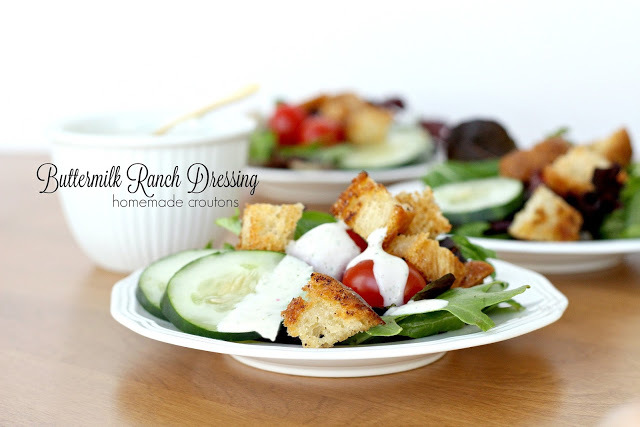 Instead of croutons on his salad, I’ll add grilled chicken or chopped egg for protein and a creamy and flavorful Buttermilk Ranch Dressing. 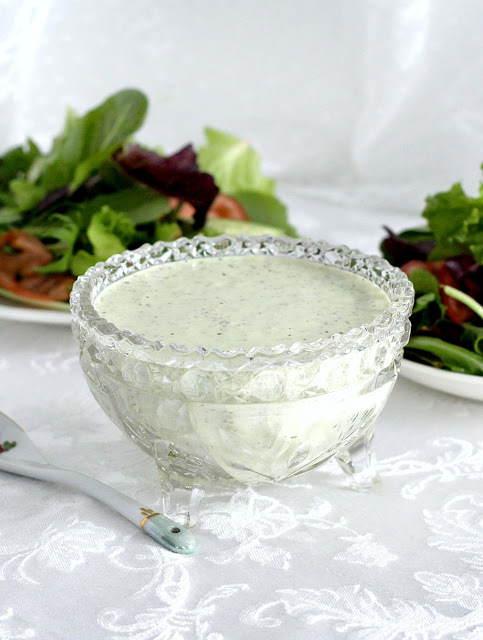 Even if the dressing is a bit higher in calories than purchased low-fat versions, it is just so much better in taste with no unusual ingredients. This is also a popular dressing with kids and grandchildren. It thickens just enough to use as a dip with cut veggies. 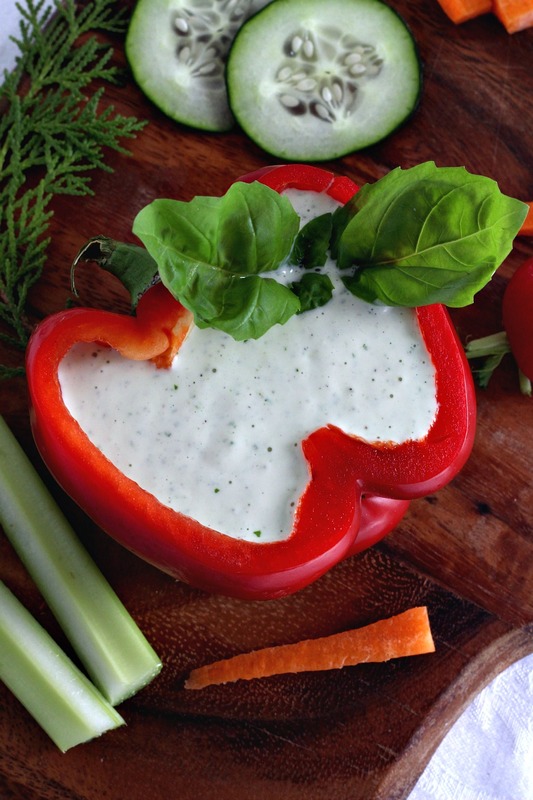 Serve dressing in a bowl or bell pepper shell with crudité alongside. 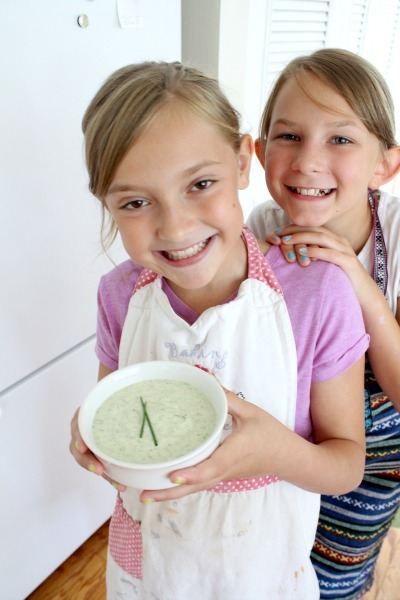 It is a favorite of our granddaughter and her best friend that like to come by and cook with me. To get started, gather ingredients together. Place the scallions, basil, lemon juice, mustard, olive oil, garlic, salt, and pepper in the bowl of a food processor fitted with the steel blade. Puree for 15 to 20 seconds to make a smooth mixture. 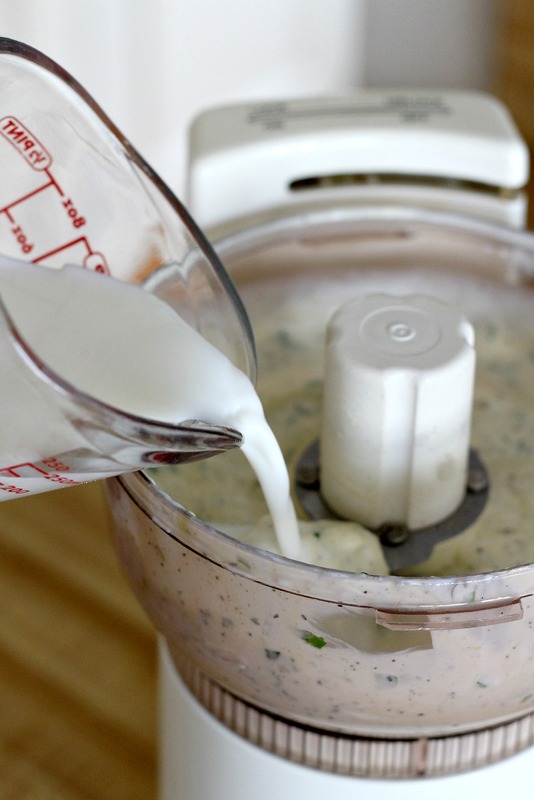 Add the mayonnaise, yogurt, and buttermilk and blend until smooth. Transfer the dressing to a container, cover, and refrigerate for at least 1 hour for the flavors to develop. 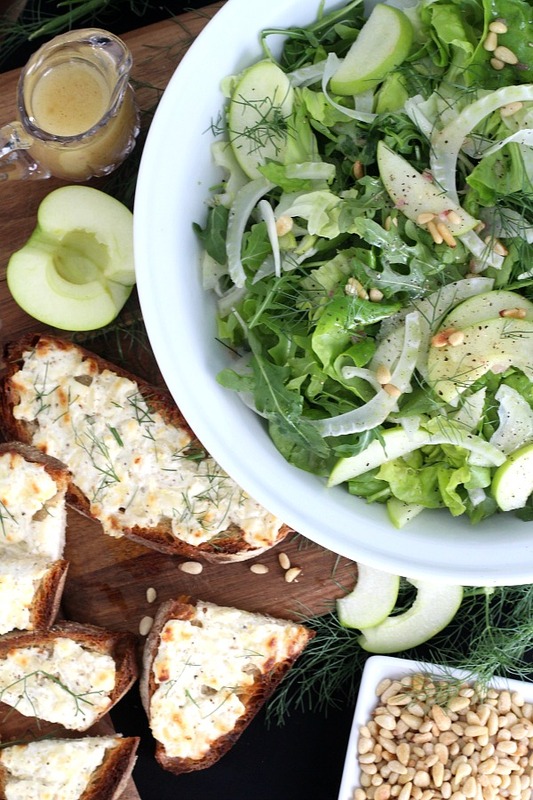 Serve over your favorite salad greens. 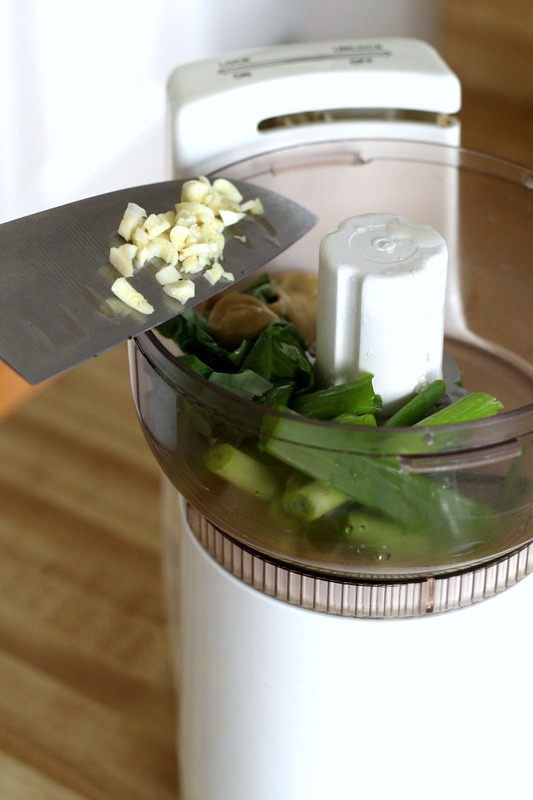 Place the scallions, basil, lemon juice, mustard, olive oil, garlic, salt, and pepper in the bowl of a food processor fitted with the steel blade. Puree for 15 to 20 seconds to make a smooth mixture. 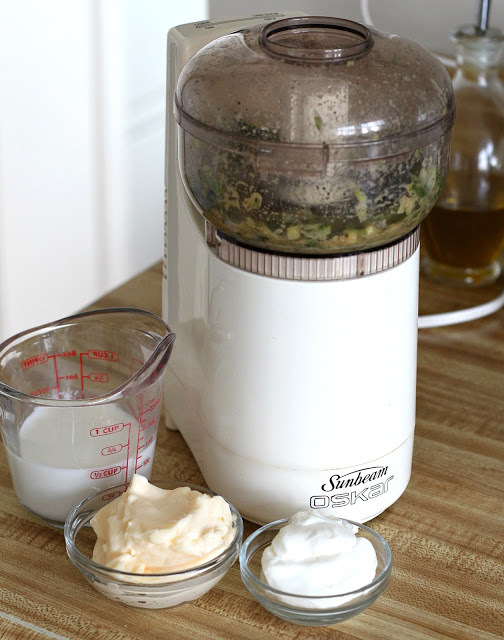 Add the mayonnaise, yogurt, and buttermilk and blend until smooth. 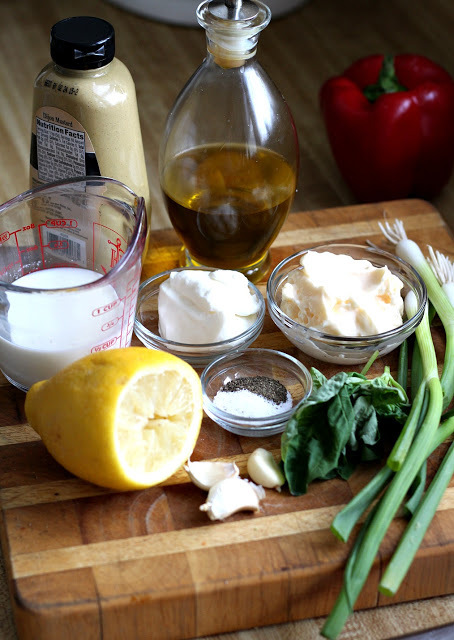 Transfer the dressing to a container, cover, and refrigerate for 1 hour for the flavors to develop. Arrange lettuce, tomatoes, and onion artfully on salad plates and drizzle with the dressing. Sprinkle with salt and pepper and serve. 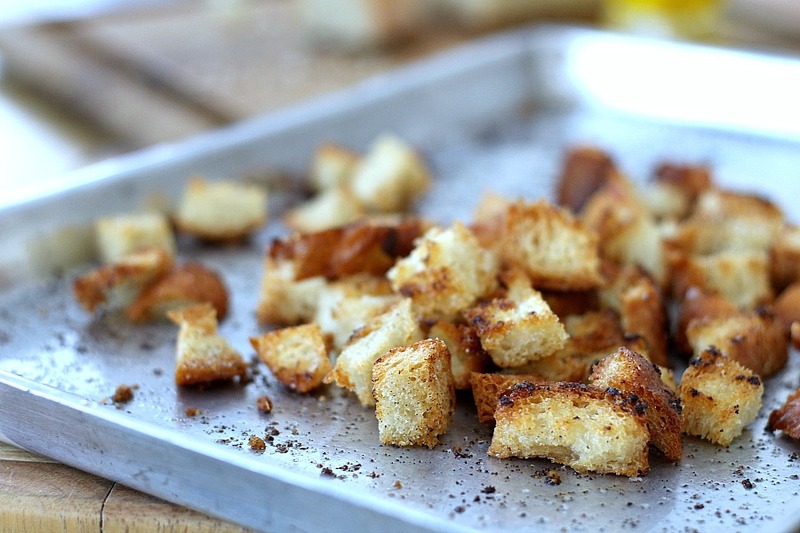 It is easy to make croutons and season them just as you like. 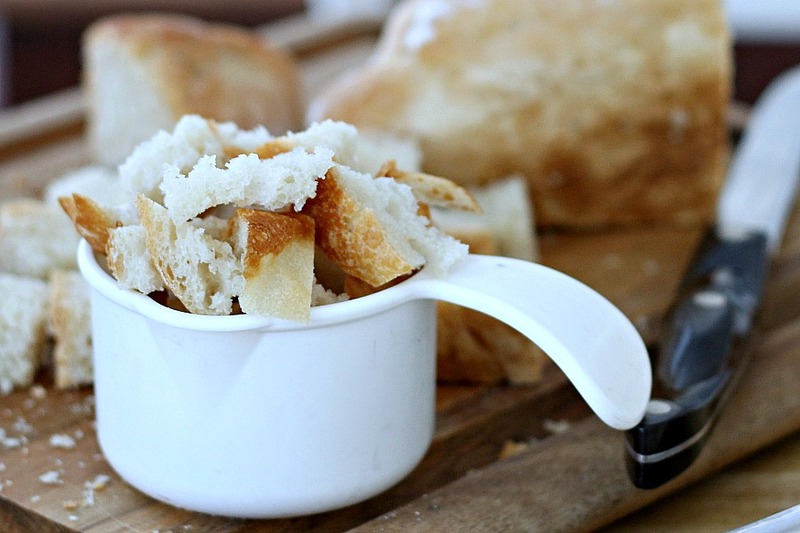 They are inexpensive, easy and a great way to use up day old bread. 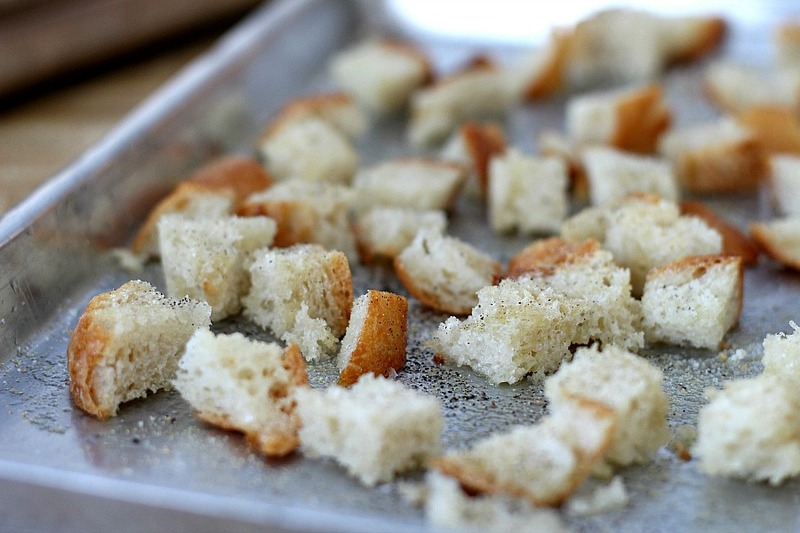 Just cut bread into chunks. 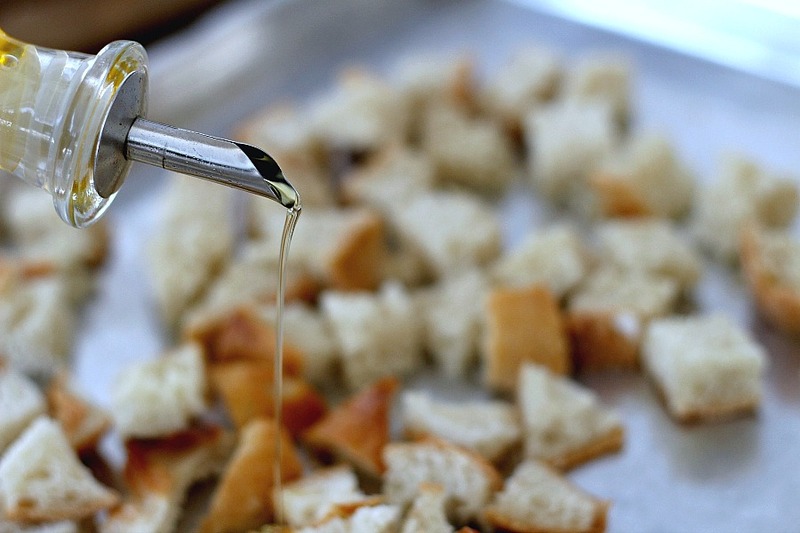 Add cubes to a shallow pan and drizzle with olive oil. Season with salt and pepper and any other herbs you want like garlic powder, Italian seasoning etc. Bake in a preheated oven at 350 degrees for about 15 minutes or until browned. Toss a couple of times while baking. Allow to cool and store in a covered container or plastic bag. 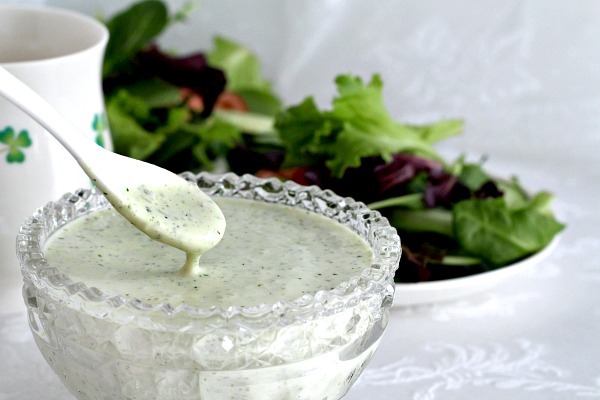 I agree there is nothing like homemade dressing. My friend Patti always made this, and I could drink it through a straw! 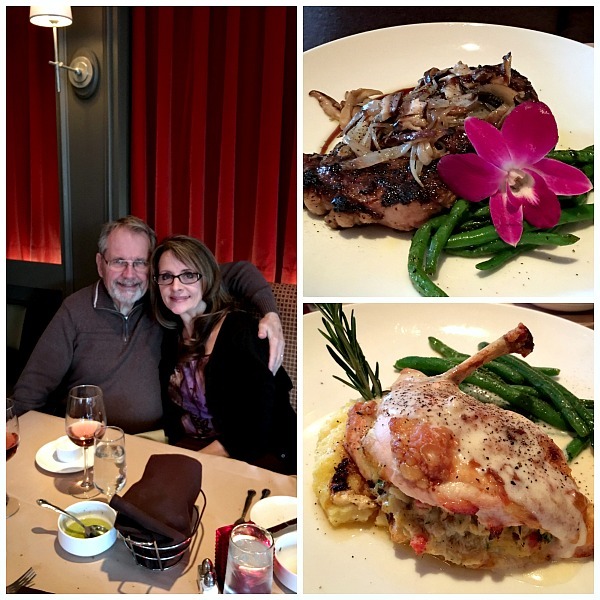 Your husband is blessed to have such a great cook for a wife!